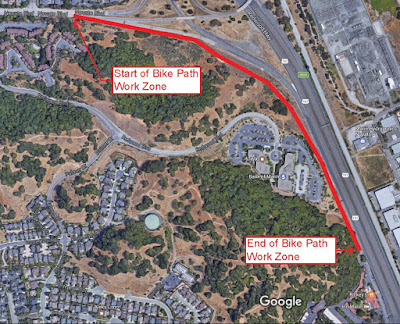 There will be work starting on the bike path that runs from S Novato Blvd to Entrada Blvd along Hwy 101 starting soon. Weather permitting, the path will be closed from 2/6/2017 to 2/19/2017. There will then be a few weeks of work immediately following that will require the path to be closed only during work hours. During these times that the path is closed a shuttle service will be provided for bicyclists and pedestrians. The exact details are still being worked out and we will be sure to post them as soon as they are finalized. The purpose of this post is to give advanced notice to any people who may use the path on a regular basis. The weather forecast is looking good in terms of getting back to mainline installation on Redwood Blvd towards the later part of next week. You will likely see some potholing activities on Entrada Blvd and Ignacio Blvd early to mid week as well. On the East project, we expect to see some light construction activity such as installation of project signs, storm water pollution prevention measures, and mobilizing equipment. The weather has slowed us down again. There will be some potholing taking place on Friday 1/13/17 on S Novato Blvd near Rowland Blvd. 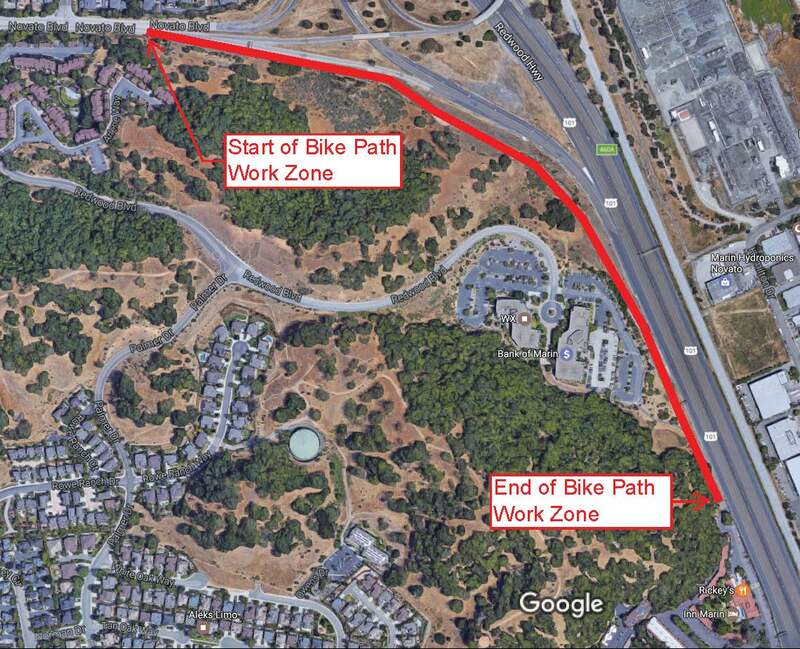 Mainline installation on Redwood Blvd may continue next week as well, but that is weather dependent. After rain storms, the off haul site needs some time to dry out. So even if the rain has stopped, that does not always mean we can get right back to work. On the East side, you will likely see some activity starting early next week. The construction impacts will be light; mostly installation of project signs, temporary fencing, and work of that nature. Once all of the prep work is finished, the real heavy work will start near Slade park. Please stay tuned for more updates.